I just returned from 5 wonderful days in Liverpool, with innovations in luggage! In addition to discovering the Beatles 'hometown is full of wonderful museums - including of course the' Beatles Story '- although I learned that it is a' film-friendly city "- which means it encourages producers to go shooting in the soil "liverpooliano '. The thing has reached such proportions that the city has become the second most filmed in the UK, second only to London, of course! In my guidebook had even a chapter called "Welcome Merseywood of 'making a contraction of the words Mersey (name of river that runs through Liverpool, which desmboca Ocean and that is the reason for the existence of the city) and Hollywood. 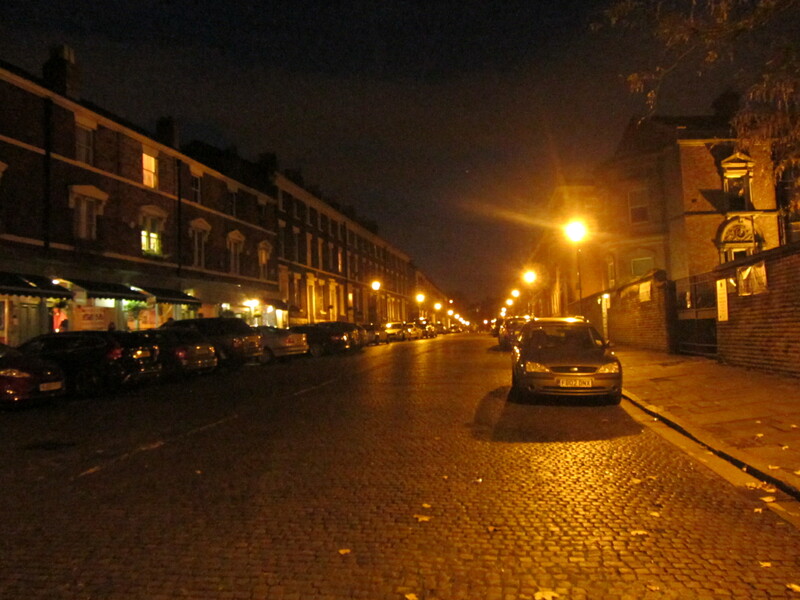 Did you know that this street there was the photo that was used in Sherlock Holmes (2009)? In the film's most famous English detective, were also filmed in Liverpool: Harry Potter and the Deathly Hallows (2010), Powder (2010), Nowhere Boy (2009) - Read review Cine-Club, Alfie (2004), The 51st State (2009), In the Name of the Father (1993), among others. I recommend others to visit! 5 Responses to "Liverpool or" Merseywood ""
I would love to see the photo that mentioned that was used in Sherlock Holmes. Here's the photo you asked! Thank you, Gugu! I'll add even more suggestions for you, ok? This is a neat srummay. Thanks for sharing!